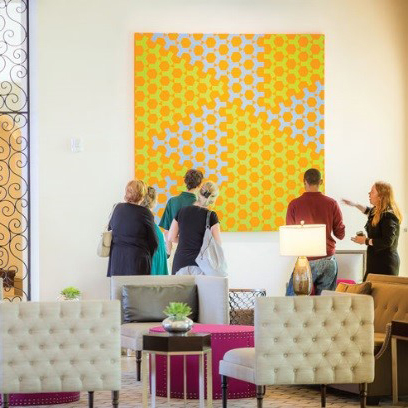 Join the Cornell Fine Arts Museum the first Wednesday of each month for a tour of the Alfond Collection of Contemporary Art on view at The Alfond Inn in Winter Park. Meet in the conservatory of the inn for the tour, led byu a Cornell staff member. Afterwards, enjoy happy hour in the lounge area of Hamilton's Kitchen. You are welcome to walk with your drinks during the tour! Every 1st Wednesday at 5:30 p.m.